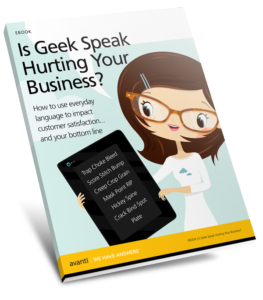 Is Geek Speak Hurting Your Business? “Geek Speak” can mean anything from “speeds and feeds” in software, to print terms that we can take for granted. Most businesses no longer have dedicated print buyers. Those tasked with the role of purchasing print may have little or no experience with with printers or the print medium itself. These folks could be digital marketers, administrative assistants, or procurement specialists. Does this sound familiar? Download our eBook about tips on how to avoid common print “Geek Speak” pitfalls now!